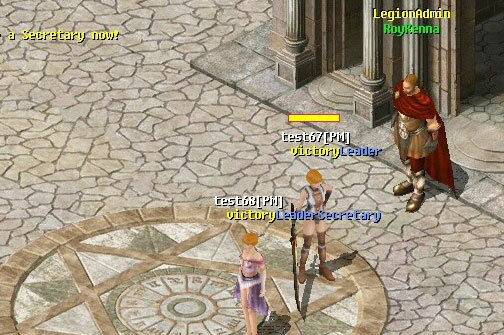 While not every legion member is going to be a heavyweight, many are worthy of note. 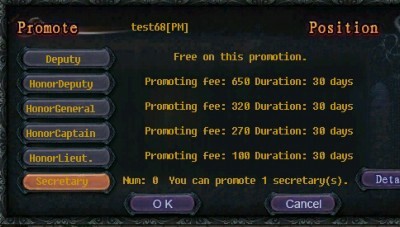 Now you are eligible to promote your faithful members to Leader's Secretaries, no character level or contribution required. The only requirement is that you have faith in them. 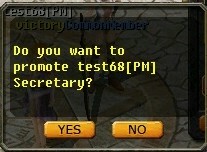 The higher level your legion reaches, the more secretaries you can promote. 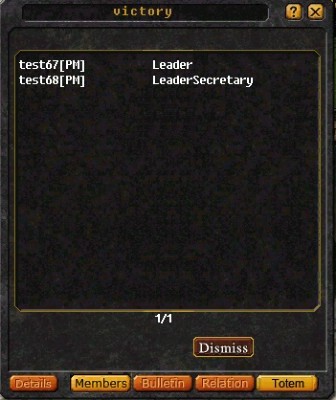 The leader's secretaries are allowed to share 50% legion battle power. Who is eligible to appoint a secretary? What are the requirements for secretary promotion? What benefits can the secretaries enjoy? 1. 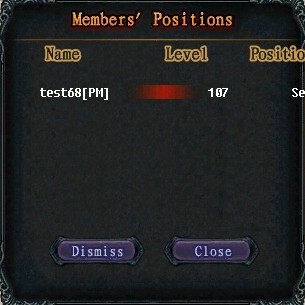 Select the name of the target member, then click "Promote". 2. 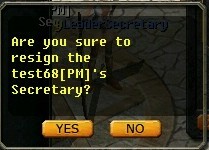 Click "Secretary", then "OK". 4. The target member clicks "Accept". 5. 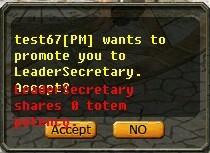 You have promoted this member to Leader Secretary. 1. Click on "Dismiss" button. 2. 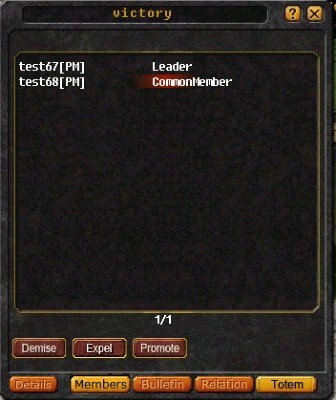 Select the name of the target member and Click "Dismiss".